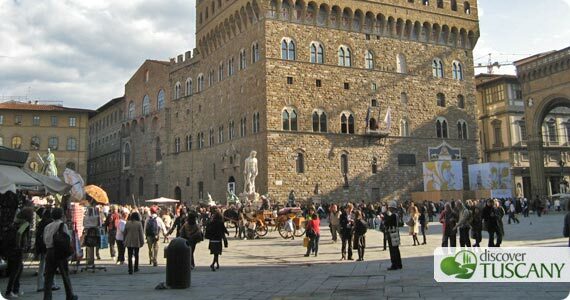 Visiting Florence and Tuscany is an unforgettable experience. For many, it might be a trip made once in a lifetime, for others it will be start of a love affair that makes you return over and over again. I first came to Florence over 10 years ago and have made it my home for almost 7 years now. Falling in love with an Italian certainly helped pave the way for my permanent stay :-). In all these years, I’ve never really felt unsafe in Florence. The historical center is small, especially compared to many other European cities. You can walk almost everywhere, and there are people on the streets at all hours, making us feel relatively safe. Like all cities in the world, though, there is an uglier, shadier side that exists around this center. I was reminded of Florence’s darker side this last week when I had my purse/camera bag snatched just as I was leaving the city center. I was downtown visiting Palazzo Vecchio, photographing the grand Salone dei Cinquecento and enjoying the incredible maps in the Map Room. I was returning home on my bike (my preferred method of moving around) when two men on a scooter pulled up to my bike and grabbed my camera bag/purse from the front basket where I had placed it. I was shocked for a second or two, then shock quickly turned to fury but there was nothing I could do as they quickly gunned the motor and got away. I lost my camera, wallet and cellphone but luckily I wasn’t hurt and all the items will eventually be replaced. The incident, however, was a harsh reminder that even in Florence petty criminals can ruin not only our day or week but our entire vacation. Somehow they had targeted me and I realized afterward that they had been following me for at least a block before they made their move. I wasn’t paying attention as I should have. I know these types of purse snatchings are common in Florence, especially since tourists are seen as easier targets. When I worked at the consulate here in Florence, there were many requests to replace stolen passports that had been taken in similar situations. So I am sharing my ugly experience with you to remind you to always be aware of your surroundings, especially as you look up and photograph the imposing Duomo or grand Palazzo Vecchio or as you take out your wallet to pay for a souvenir or gelato. Keep wallets in zippered pockets, your purse close to your body and after sunset keep to well-lit streets with lots of foot traffic. Beware of pickpockets on crowded buses. We might not always be able to avoid a purse snatching or robbery, here or anywhere else, but at least we can make it harder for them to find a target! Most of all, I hope that by sharing my experience, your additional awareness as you visit this beautiful Renaissance city will help make your vacation in Florence unforgettable for all of the right reasons!